I went out tonight to catch up with a bunch of friends and get their reactions to the Antonio Margarito v Manny Pacquiao fight. A few of them started talking about Ephedra and Hydroxycut. That reminded me of the Tweet that I saw before the fight about Margarito (i.e something about not being able to last through 3 anthems and a Nelly concert, even with Ephedra and a pill). Huh?!!? Since I was at the fight, this was all news to me. 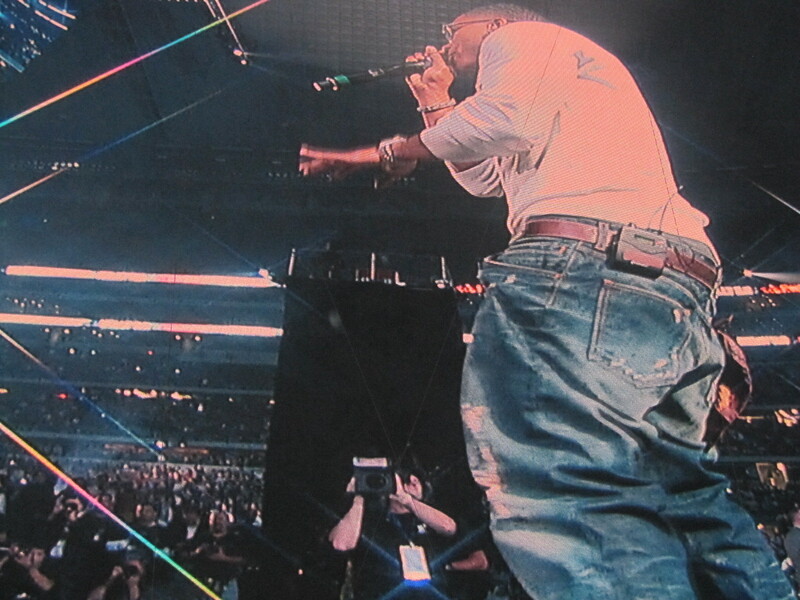 Here's a pic of Nelly from the screen from the night of the fight. He was on the opposite side of the floor. Whoever the genius was, that decided not to raise the small stage, made a mistake. 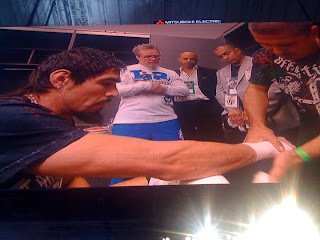 Back to boxing... Whatever the case may be, Margarito lost by unanimous decision and has a broken orbital bone... Ouch!